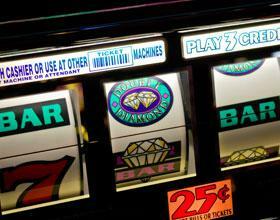 There are plenty of factors that separate slot machines. Everything from theme and graphics to jackpots are worthy of consideration before choosing a game to play. Unlike slots of the past, which featured mechanical innards, three reels and a single, stationary payline, today’s games give players practically limitless opportunities to win on every spin. Most games at Palace of Chance offer a lot of paylines, and maximizing these lines on every spin is the best way to make the most of your wager. With five reels and 30 paylines, a single spin offers dozens of chances to land a huge combination. For all of the benefits of games with multiple paylines, though, not every player likes to worry with setting this part of the wager. If you’re a player who usually just plays all available lines in order to cash in on as many winning combinations as possible, you may be interested in another type of slot that comes without standard paylines. All Ways slots, sometimes referred to as Ways Win or All Pays games, take the concept of paylines to brand new heights. If, for example, you play a five reel slot that displays three symbols on each spin, the All Ways formula will give you an incredible 243 possible combinations with every wager. 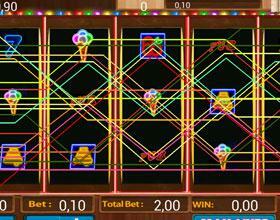 To better understand how All Ways games work, it’s easiest to forget about paylines entirely. While paylines force you to situate winning combinations along a predetermined pattern, All Ways slots award combinations in any position, as long as the symbols line up from left to right on adjacent reels. As a result, the possibility for multiplied winnings is always there, because landing two of the same symbol on a reel turns a single combination into two. In recent years, developers have taken notice of the popularity of All Ways games, and they’ve started introducing games with even more ways to win. If you play a five-by-five All Ways game, for example, you’ll have 3,125 unique opportunities to win with every spin. When compared to a standard 30 payline slot, All Ways machines can sometimes feel like a step into the big leagues. As with all play features, the option to ditch paylines in favor of an All Ways game does come with a few drawbacks that are worthy of mentioning. The biggest detraction is the size of your wager on every spin. To put it simply, funding hundreds of paylines with every round can be an intimidating prospect if your bankroll isn’t enormous. Remember, though, that fortune favors the bold. In exchange for a larger average wager, your chances of earning a return on your bet are increased exponentially. If you’re still unsure, try to find an All Ways machine that features fewer reels. The difference between playing an All Ways game with 243 ways to win is huge when compared to a game with 3,125 ways to win. Obviously, the biggest benefit of playing an All Ways slot is the chance to win more. Unlike old school slots with only a few lines, All Ways games are likely to land winning combinations on nearly every spin. Sure, some of those winnings will go toward your original wager, but who doesn’t like to win on every spin? If you’ve ever played a single line slot, you’ll understand the downside of constantly losing with no end in sight. Even though you’re wagering the same amount, the time between wins can be a real bummer. With All Ways games, practically every spin is worthy of a dinging bell, a flashing light and a celebration. If you come to the casino to have a good time, there’s no way that can be considered a bad thing, right? If you’re intrigued by the benefits of All Way games, you won’t need to go far to take them for a spin. Palace of Chance offers a number of games implementing this rewards system. 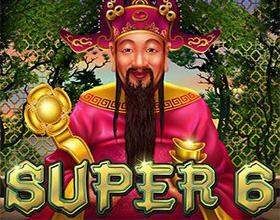 One of our newest additions in the All Ways slots category is Super 6. This beautiful slot features an enticing Asian theme and six reels of glittering action. In total, you’ll enjoy 729 ways to win on every spin, but that’s just the tip of the iceberg. Super 6 also includes some lucrative free games features that can be triggered by collecting four or more scatter symbols on a single spin. Aim for the Mega Grouped Wilds, because they reward players with five times the prizes. All told, the ways to win never seem to stop in this new slot. One of the greatest things about being a slot player is the sheer diversity of games available in casinos around the globe. For a kick of nostalgia, nothing beats a mechanical, three-reeled bandit. When you’re ready for something more exciting, modern video slots with beautiful graphics and dozens of paylines really do the trick. When you’re really in the mood to win, though, All Ways slots are the machines you should set a course for. Forget about chasing diagonal lines and zig zag patterns. If the symbols show up on the reels, you’re a winner with All Ways games. If you’ve got any questions about Palace of Chance or our selection of All Ways slots, consider contacting our industry-leading customer support team. Our team is available 24 hours a day, seven days a week to address your concerns and enhance your play experience. When it comes to gaming, Palace of Chance represents the cutting edge of the casino industry. We’ve got an ever-expanding library of great games, a rotating selection of lucrative promotional offers and the best customer service you’ll find anywhere. Step inside the Palace, and find out for yourself why thousands of players keep coming back for more. Whether you’re in the market for an All Ways slot game or a classic table game, everything is available at the click of a mouse. With a little luck and a bonus offer or two, you could be our next big winner!